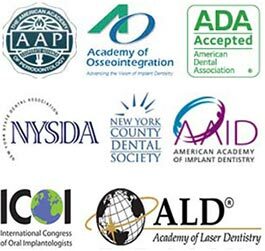 Dr. Navid Rahmani is a leading dental implant specialist in NYC and one of few implant dentists in NY region to offer newest and most advanced dental implant techniques and procedures for your replacement or new teeth. Most dental implants including mini dental implants, single tooth implants and full dental implants we are using in our Dental Implant Center in NYC are made from titanium as this metal has numerous beneficial qualities and is widely used in the medical industry. 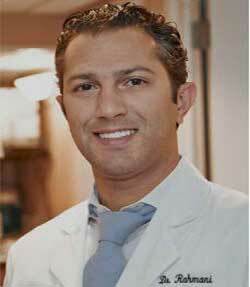 Dr. Rahmani of Dental Implants NYC is located in Midtown Manhattan & Upper East Side, NYC. Dr. Navid Rahmani is a current contributor to a multiple news outlets. Contributing latest research on topics related to dental implants surgery and periodontal disease treatment. Would you like to review NYC Dental Implants Center or Dr. Rahmani on Google? I was referred to Dr. Rahmani by my dentist for a dental implant. The treatment was nothing less than excellent. The complete procedure from surgical extraction of an infected tooth to the placement of an accompanying implant and abutement met I believe the highest professional standards. My pain-free treatment was further enhanced by an atmosphere of warmth, compassion and caring.This was accompanied by Dr. Rahmani’s warm and upbeat personality and his availability to answer all questions patiently and thoroughly. The service provided by the clinical staff and office team matched the excellence of that given by Dr. Rahmani. In additional to making me relaxed and completely comfortable time was taken in instructing me in optimal home care.The friendly and accessible office staff was most efficient in scheduling, payment processing and submitting insurance claims. I inquired about additional treatment for gum issues unrelated to the implant. Upon examination Dr. Rahmani told me no treatment was necessary. I was assured that whenever coming to this practice only necessary work will be performed. Do you have questions? Would like to schedule an appointment with the top dental implant specialist in NYC, Dr. Navid Rahmani, please contact our Upper East Side NYC office.